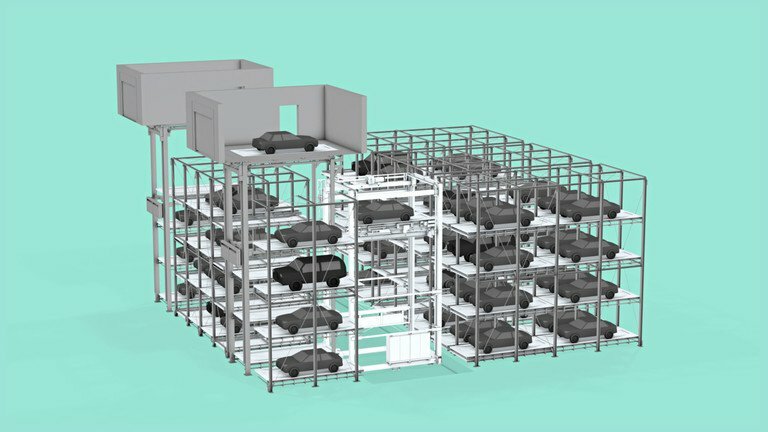 The fully automated SP car parking system was developed to accommodate large numbers of cars as quickly as possible in the smallest possible space. 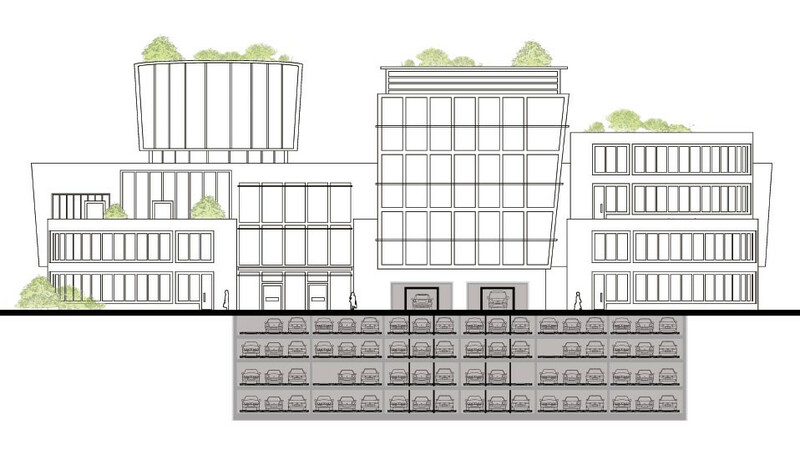 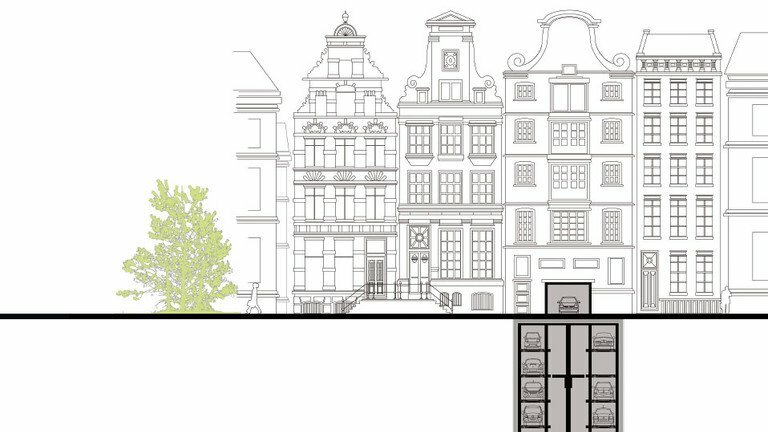 This variable and exclusive type of parking can even be incorporated into existing buildings. 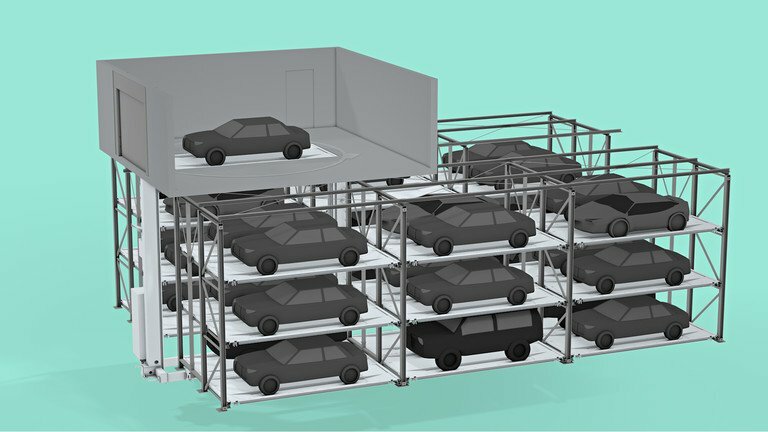 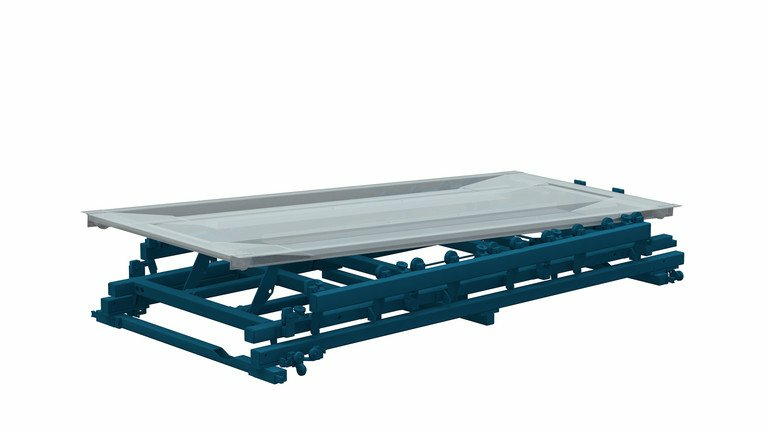 To make efficient use of the space, vehicles inside a block are placed side by side as well as vertically on special vehicle pallets. 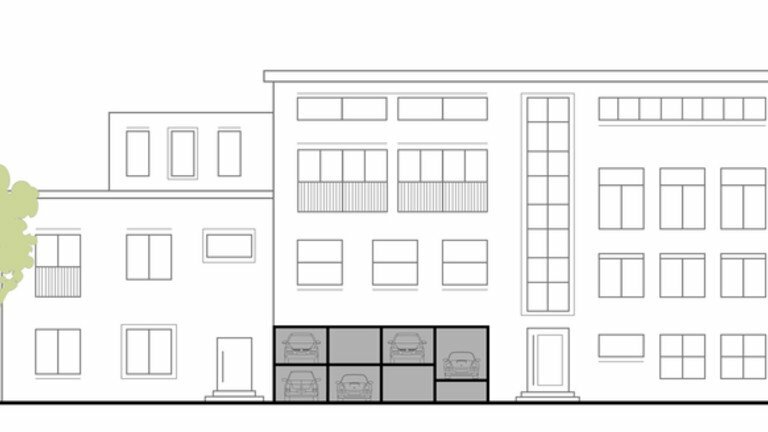 The parking spaces are protected from unauthorised access. 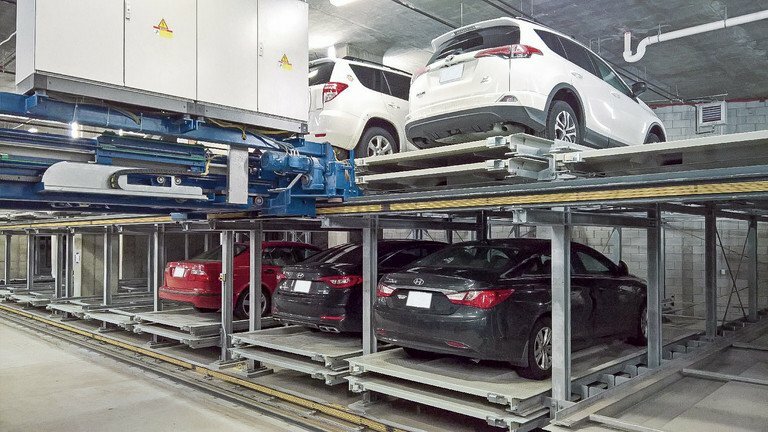 A shuttle conveys cars automatically from the transfer room to the parking spaces. 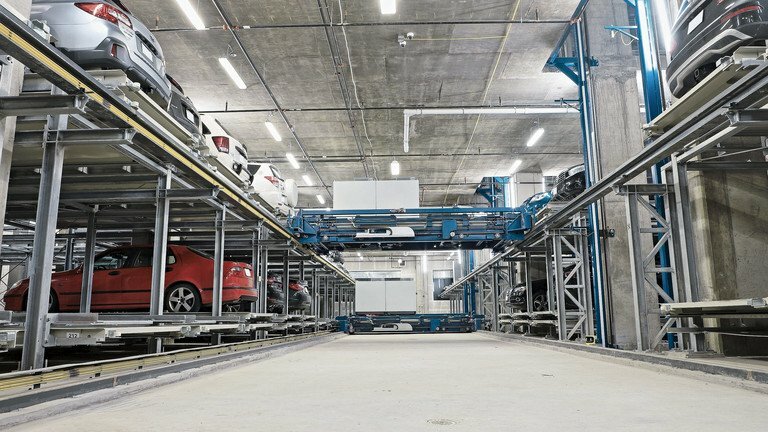 To the right and left of the shuttle lane, up to two vehicles can be parked one behind the other, and an almost unlimited number can be placed side by side. 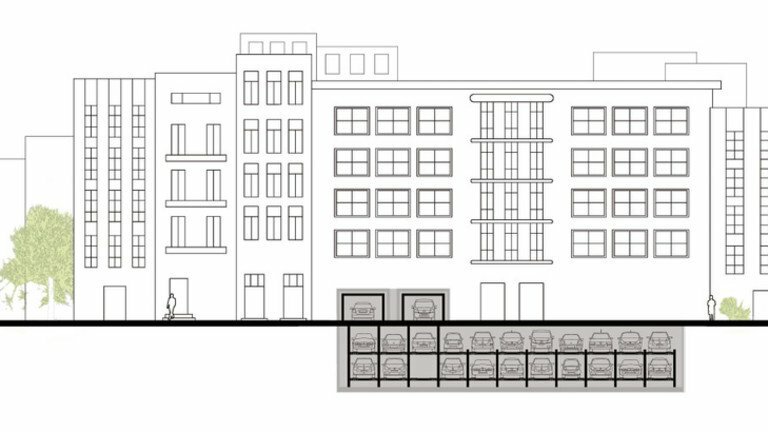 The number of shuttles per level can be increased in order to optimise the turnover of vehicles parked side by side. 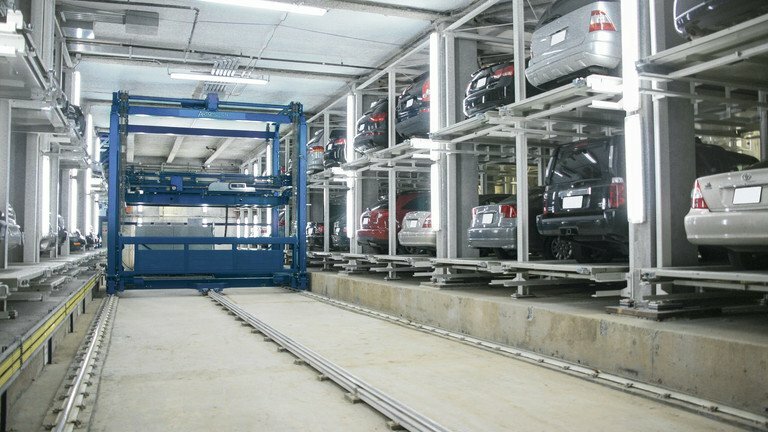 Space is best utilised if a number of vehicles are stacked vertically. 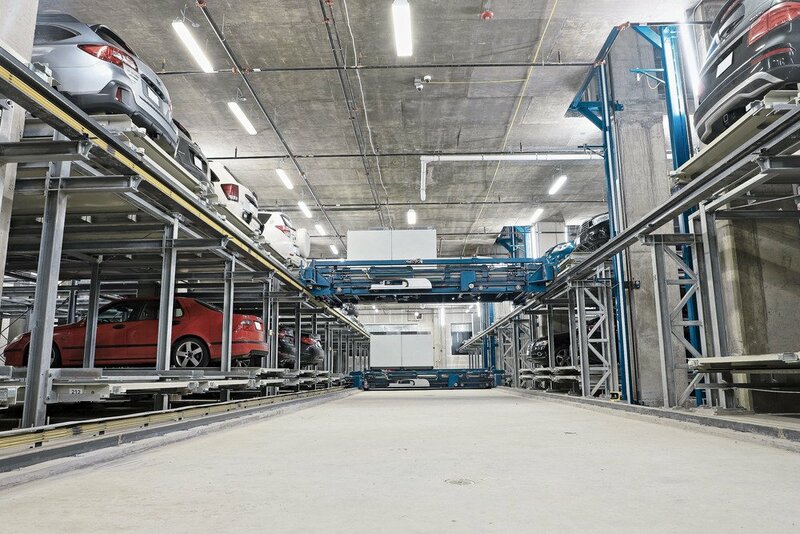 Vehicles are moved from one level to the next via a separate lift system immediately above or below the transfer room. 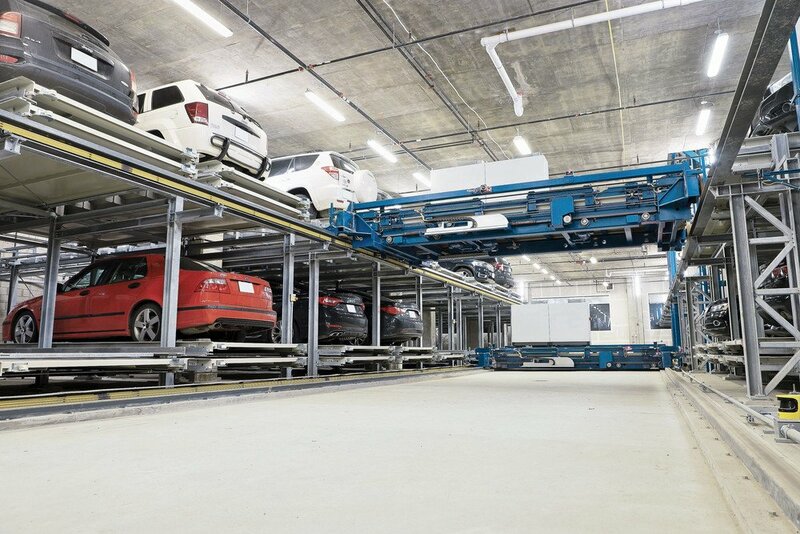 Each parking level has a separate shuttle, ensuring rapid access to retrieve the vehicle. 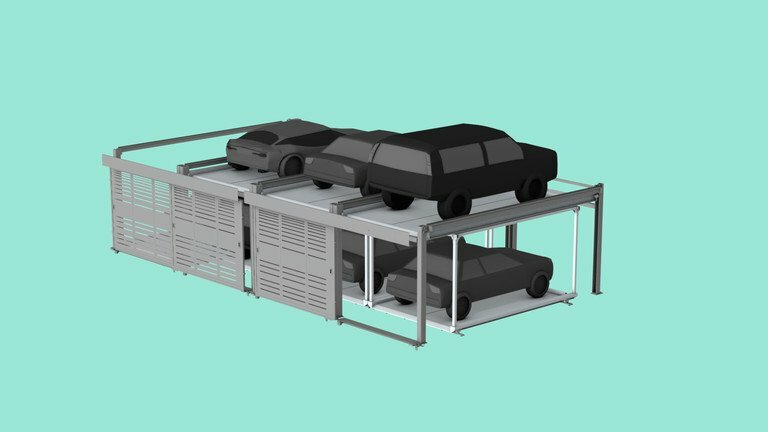 Combinations of vertical and horizontal transport systems facilitate high turnover, which is essential for car parks used by the public. 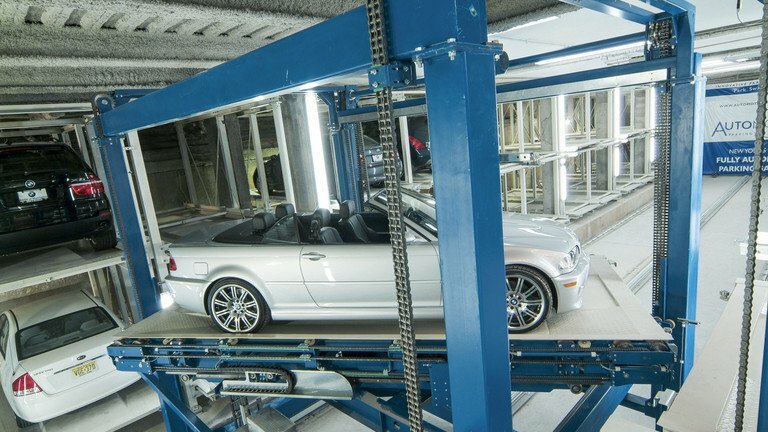 Separate longitudinal and lifting movements in the SP car parking system enable several processes to be carried out simultaneously. 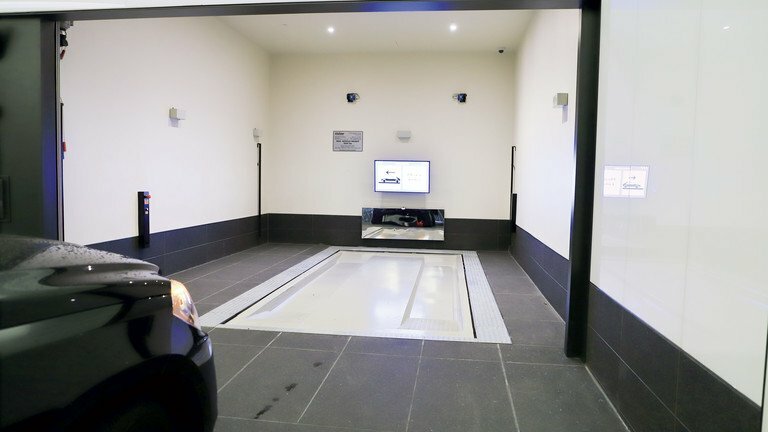 An intelligent control system sorts cars according to when they will be needed. 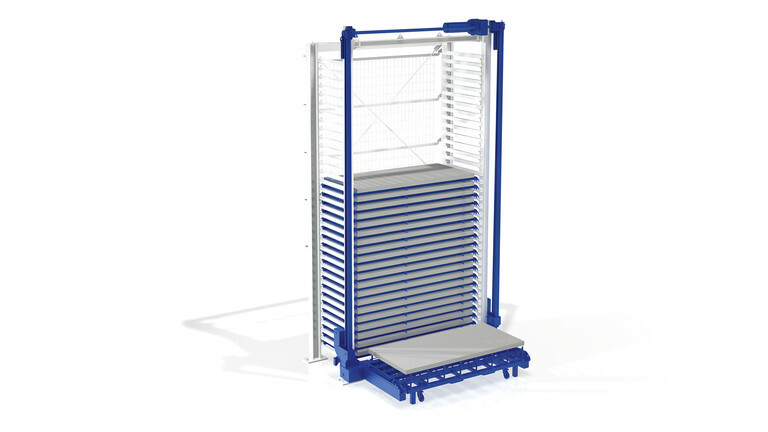 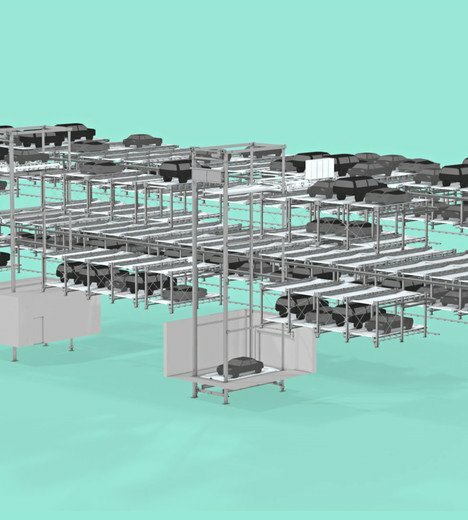 Together with the quick change system for vehicle pallets, this results in highly efficient parking solutions. 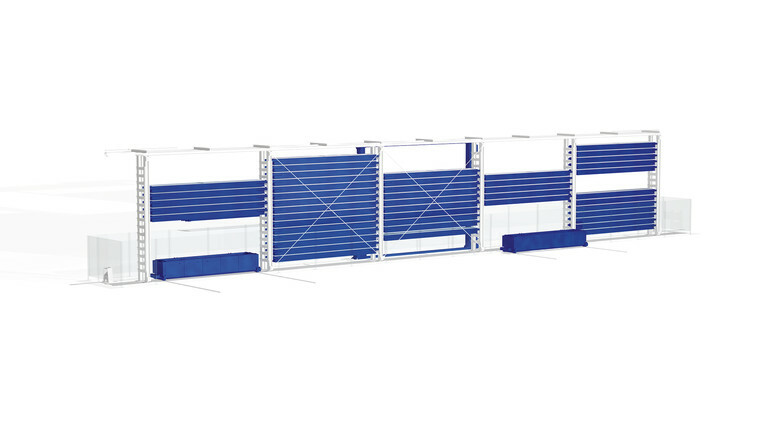 Waiting times are reduced to a minimum. 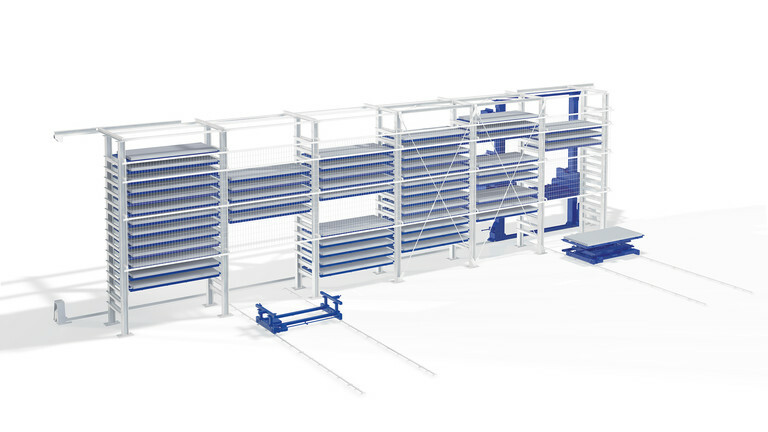 Optional integration of a rotating platform in the transfer room provides latitude in the design of the entrance to the system. 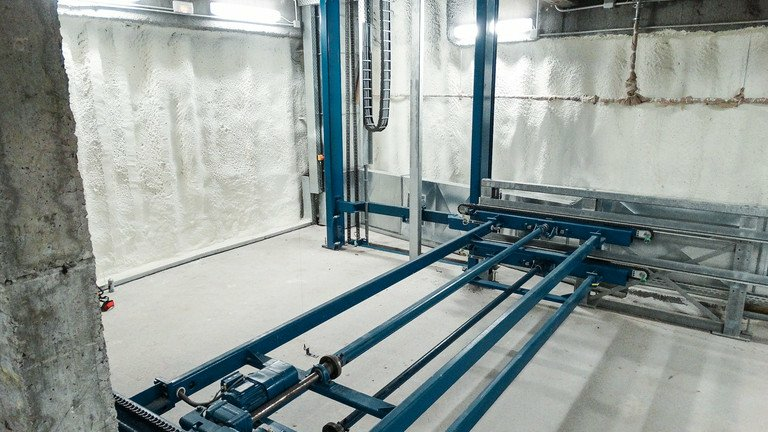 The turntable always retrieves and delivers parked cars facing in the driving direction. 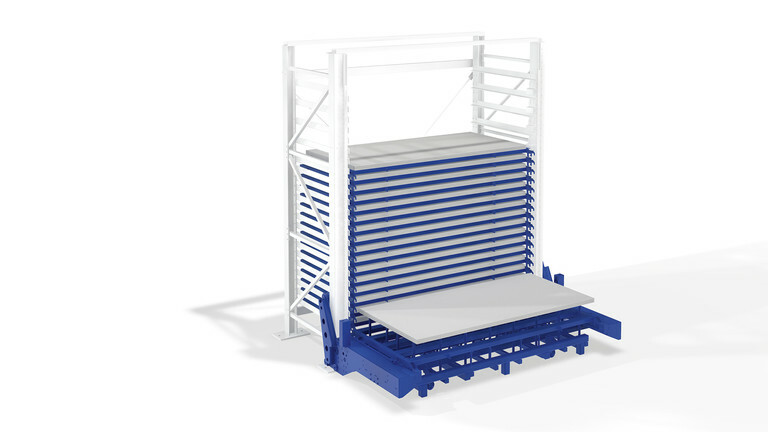 No time-consuming manoeuvring is necessary. 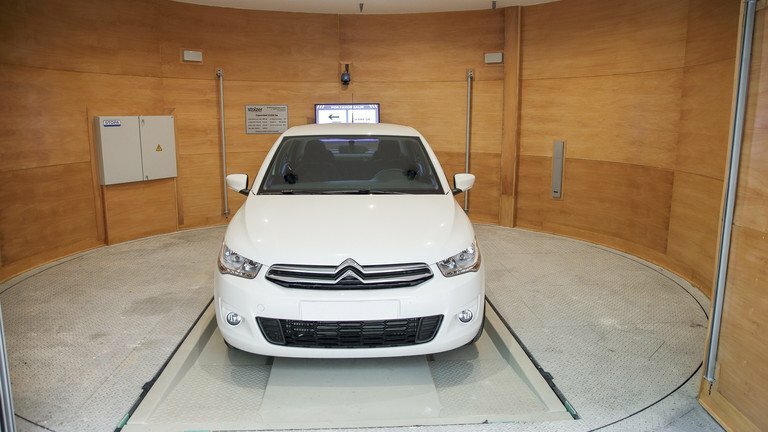 State-of-the-art laser and infrared sensors ensure maximum safety for both people and vehicles. 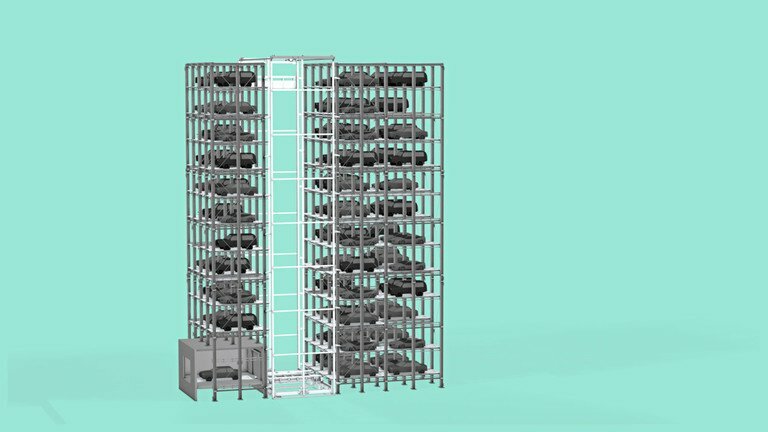 In addition, various optical aids guide the vehicles precisely to their positions and return them to users undamaged. 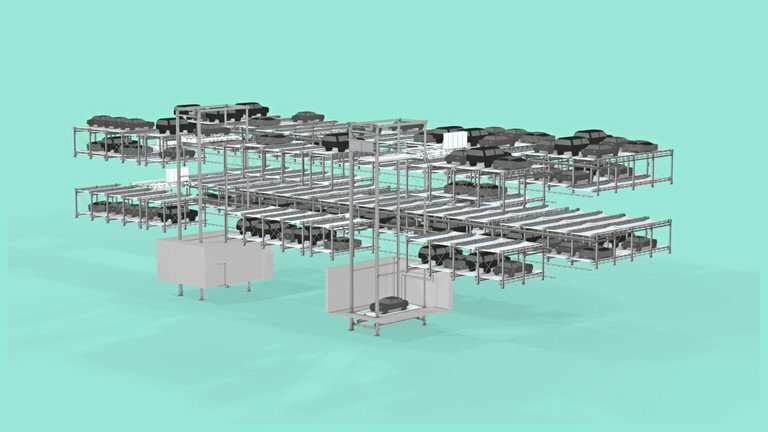 This parking system auto- SP was designed for a high number of parking places and a high throughput capacity. 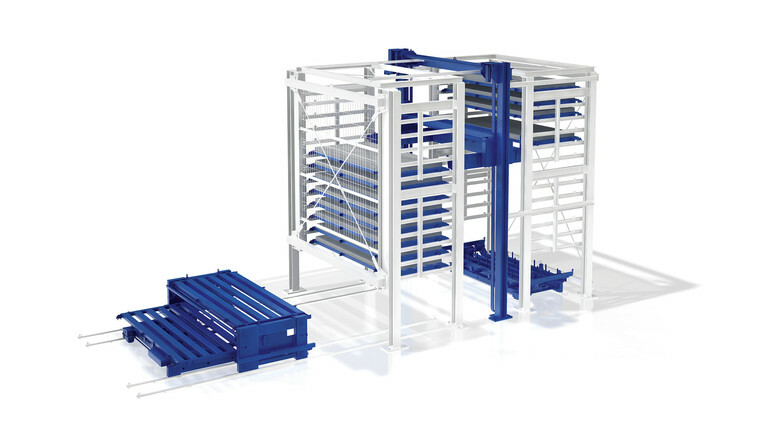 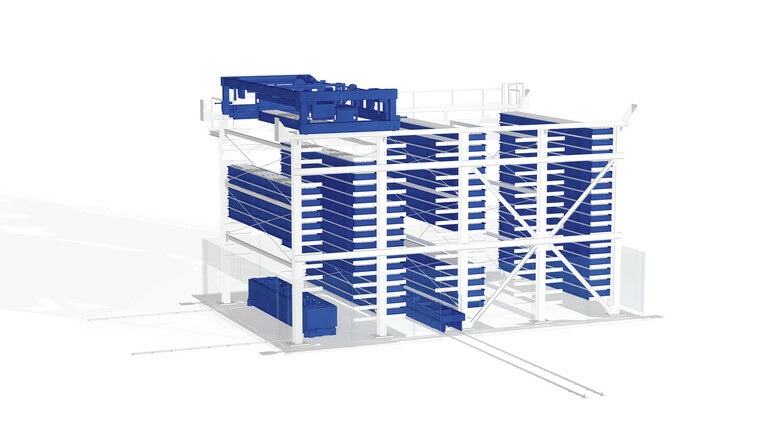 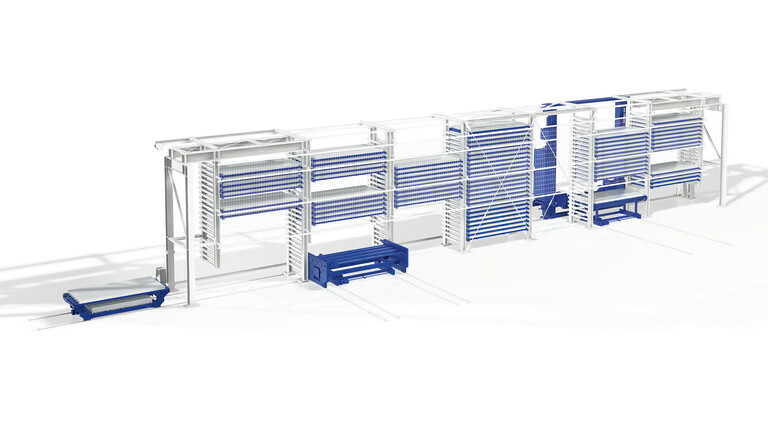 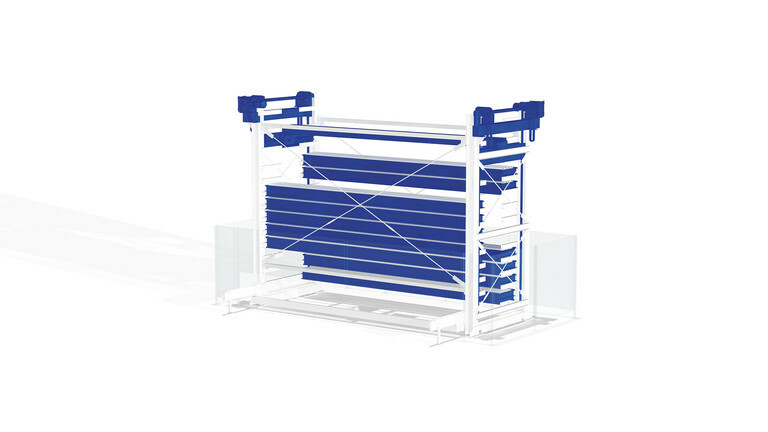 Due to ist modular design it can be adapted to various building requirements. 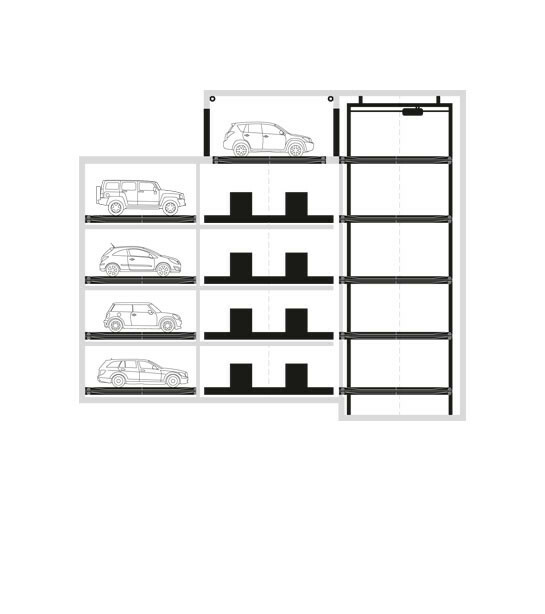 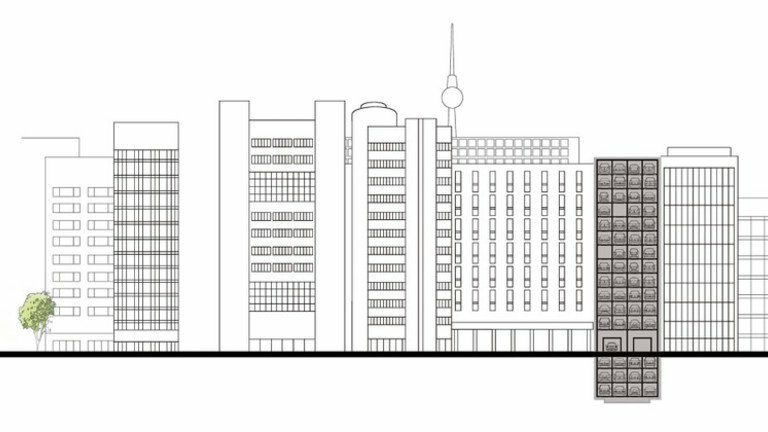 The combination of vertical car lifts passing all parking levels and horizontal shuttles servicing every parking level allows for various scopes of design.